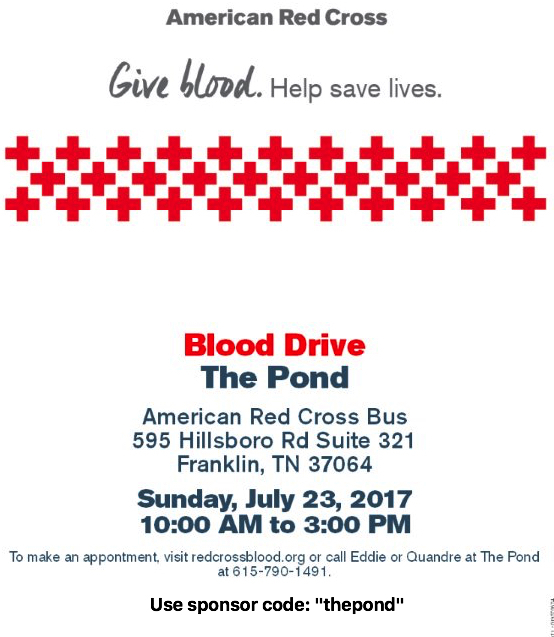 Come join us Sunday, July 23rd 2017 and donate blood with the Red Cross. Visit redcrossblood.org and use sponsor code “thepond”. Go to our Facebook event and share it with your friends.